Sunbathing with a bird in the garden! I shall have to eat a lot to add some padding to my backside as the seats in this temporary replacement for the Jaguar leave a lot to be desired. That shouldn't be a problem with a nice long break now during which I can laze around or visit interesting places with nice menus or views and preferably both. 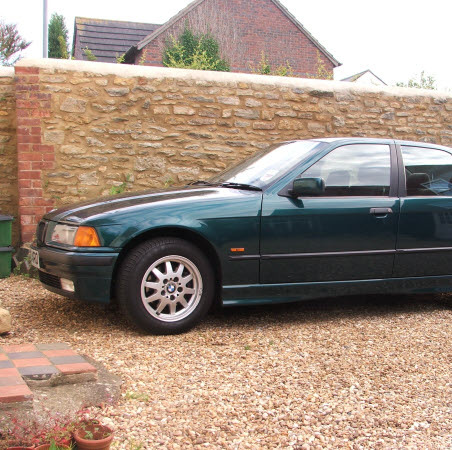 The big cat had to go as fuel was costing me £600 a month and this BMW has halved that. Bought it from a nice chap at work who was the type that polished the wheel nuts every Sunday and I've just discovered that he had the 2.5litre engine tuned to produce 220bhp which might explain why I'm having trouble with speed cameras. Just been flashed by one that I pass every flaming day which is really annoying. An ambulance had just zoomed passed me at the same spot and I'm sure there was only one flash but I don't think there's much point arguing. Still looking for something a bit more interesting but this'll do for a while. Might even be able to afford a trip to Fort William this summer. Duffy performs "Cry to me"
This isn't on her album but a really good version of the classic. This little fellow appeared in amongst some weeds. My mum's garden is rapidly turning into a nature reserve.